We started on the mosaic finally, after leaving the shower wall open for a whole year or two already! We had to first decide what to make. 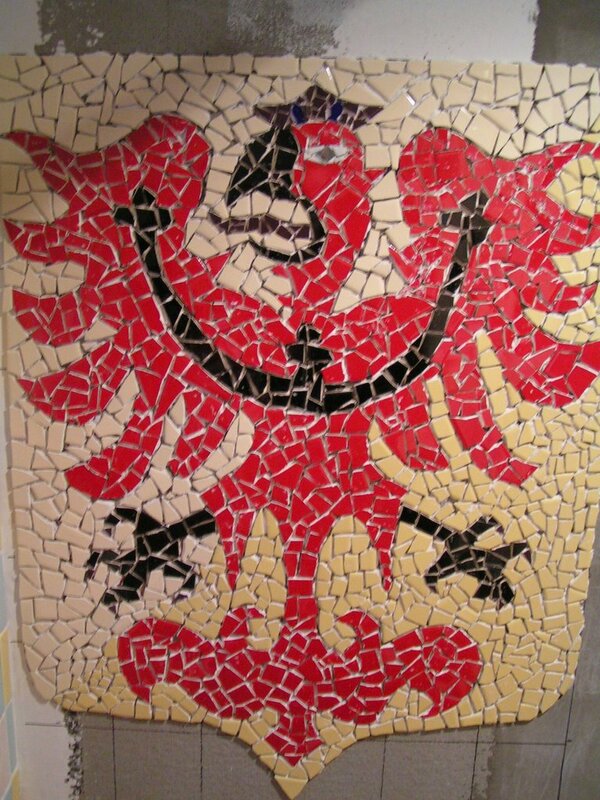 We thought a mermaid at first, but then we decided to make one of the Czech coat of arms. 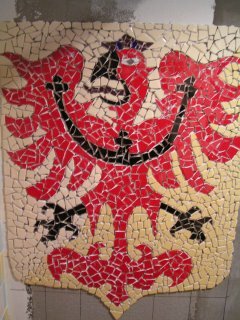 We liked the Silesian one the best, but changed the color of the bird from black to red. We kept the yellow background. 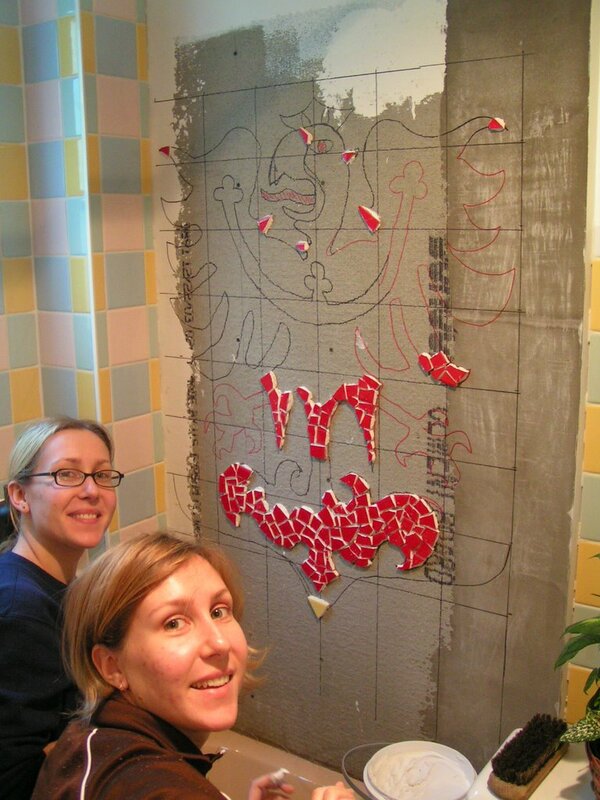 It took us two days, and we ran out of yellow tile! So we had to go to Tile King the next morning. 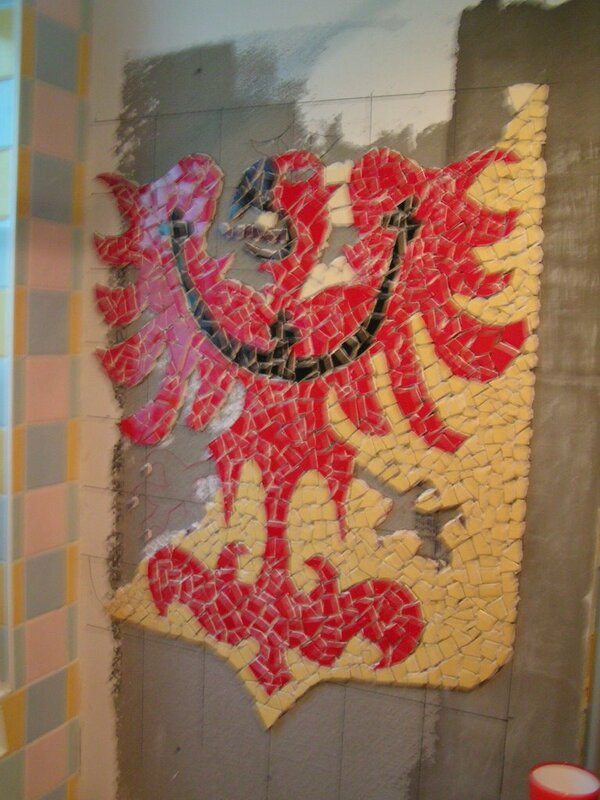 Now its done, and we just have to surround it with normal tile, and grout. This was a group project. I have been thumbing through the net for awhile and it feels similar to chasing rainbows to discover answers. Finally, some progress in finding your blog. I especially enjoyed your most recent post.